I finally had a chance to see the movie Frost/Nixon. It is an engaging look at the watershed interview of former US President Richard Nixon by the BBC’s David Frost in the wake of the Watergate scandal. While it is a bit plodding in pace, it is deftly directed by Ron Howard, and Frank Langella’s depiction of Nixon is brilliant. After the first few minutes you feel like Richard Nixon himself is playing… well Richard Nixon. There are so many powerful messages in the movie. The abuse of power for one. Frost asks the question, “Are you really saying the President can do something illegal?” Nixon, “I’m saying that when the President does it, that means it’s not illegal!” Wow! Over the years a number of US presidents have clearly acted like they believe this, the revelation here is that one of them actually admitted it publicly. Lord Acton once said, “power corrupts and absolute power corrupts absolutely”. As long as we have people in positions of power we will have people abusing that power. For me however, the defining moment of the movie was when Nixon finally broke down and admitted he made grievous mistakes unbefitting the office of the Presidency, and that he let down the American people. The sense of guilt from the continually lying and denying felt almost palpable on the screen. Becoming too heavy for him to bear any longer he consciously decided to lay himself bare and face the possible derision of the world. 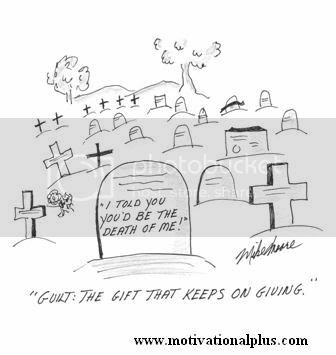 Guilt, however, can have a profoundly meaningful role in our lives as well. What would our world look like if no one every felt guilt or remorse for their actions? It would be a cruel and violent place indeed. In a way, guilt is the gift that keeps on giving. The guilt of our actions haunts us until we can come clean and confess it to someone… sometimes to anyone. The sense of relief that comes is clearly liberating. Far from being negative, Godly grief is one of our most important gifts. It nudges us to that place of repentance where we find God’s greatest gift; grace. 2Cor 7:10 For godly sorrow (guilt) produces repentance leading to salvation, not to be regretted; but the sorrow (guilt) of the world produces death. Why anyone would want to go through life carrying the guilt of the past and the weight of sin is beyond me. Never mind the eternal price of sin, the temporal price is far too high as well. Un-atoned guilt produces shame and condemnation that can last a lifetime. 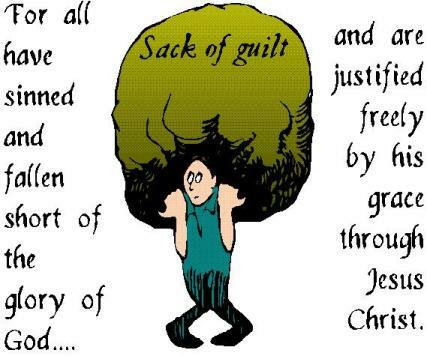 When Christ died on the cross He made a way for all of us to unload the sack of guilt that most of us have been carrying around way too long. Rom 8:1 There is therefore now no condemnation to those who are in Christ Jesus, who do not walk according to the flesh, but according to the Spirit. If you haven’t checked your baggage lately, maybe now would be a good time. This is one bag that if don’t unpack it, it could leave you on a guilt trip that could last forever.